Ever since the release of the Surface Pro 6 and the Surface Go, fans and enthusiasts alike are anticipating the announcement of the Surface Pro 7 with all the rumors materializing, from the patents, to the projections, and the expected additions. Jump in and see what the latest buzz is all about. When it comes to the release date for the Surface Pro 7, it’s most likely that Microsoft would release the said laptop-tablet competitor by October 2019, observing the trend that has been going through the years. 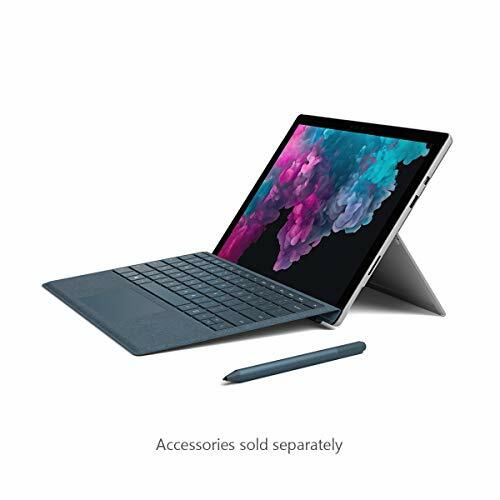 The Surface Pro 6 was announced in October 2018 and the Surface Go was released in August, the same year. Note also that the Surface Pro 4 was made public in October of 2015. With the pattern almost consistent for quite some time, we’ll most likely see the Surface Pro 7 announced within 9 to 12 months after the previous device becomes available in the market. With most of the improvements focused on providing bigger, thinner, and faster, one of the most unique developments already under way is a better kickstand experience. Though the current setup is already acceptable to many, with the kickstand working as a cover and a stand, Microsoft aims to make the feature more person-worthy, focusing on feel, resistance, and pressure. As found in the United States Patent and Trademark Office, a patent published back in February shows a friction hinge with clutch-based resistance – a small detail that’s not even visible with the naked eye. However, you will feel the kickstand hinge’s pressure when moved up or down as the force needed would be heavier or lighter depending on how the kickstand is shifted. The Surface Pen is also not left behind as a patent awarded to Microsoft on February 15, 2019 shows a U-shaped clip that’s intended to act as a scroll wheel for a mouse. With the said clip-like figure to respond to touch, the user is given the ability to go page up or down, zoom in or zoom out, as the finger slides its way on the clip’s surface. The location of the said clip is right below the eraser, giving the impression that it’s a clip that’s intended to act as a pen holder. There’s also info that the conduction level of the clip changes from top to bottom, giving the attached sensor the impression of a changing current based on finger movement. In addition to the Surface Pen’s new feature, it’s also getting an overall enhancement when it comes to writing and scribbling accuracy thanks to a patent that uses “active stylus motion vector”. According to Windows Latest, improved accuracy is achieved with the utilization of motion vectors where prediction of the location of the stylus is projected, microseconds different based on how the movements are made, and listening to the movement of the whole stylus and not just addressing the location of the tip that touches the screen. There’s one rumor that holds claim of a patent that was filed back in May 2017 where a reflective screen can be seen at the back, half-size smaller than the main screen. The screen located at the back part of the 2-in-1 is made from metal, which then shows a reflected version of the screen at the front. With this technology implemented, it becomes possible to interact with the Surface’s screen without the need of opening and flipping the cover to accomplish small tasks like clicking links or doing little writing tasks. As wild as you could imagine it, this reflective screen patent could be a game changer. Another enhancement that’s expected to be seen with the upcoming Surface Pro 7 is a lighter body with an even thinner keyboard compared to the Surface Pro 6. A Dutch blog, Windows United, confirmed that a patent for a circuit board-integrated touchpad was used, but has not been applied to other Surface versions. Because the board is etched with the touchpad in place, it would also indicate that the height of the keyboard becomes thinner, and the body also thinner, thus resulting in a less weighty frame, even 0.5 lbs. lighter. With multiple input connections visible with different Windows laptops and tablets, such as the USB-A, USB-C, and Thunderbolt, it could be possible that the Surface Pro 7 could include a USB-C connection, considering the trend and the patent that was submitted back in May last year. The patent titled “Magnetically activated latch mechanism” shows that magnets are positioned on both ends of the USB-C connection, making it possible for the connector to latch in an engaged and disengaged state. This does not only make the connection better, but it also provides faster data transfer and quicker charging. Many Surface Pro 7 hopefuls are anticipating that there would be a “cool” change with the processor to be included in the release of the predicted 2-in-1. With Intel introducing Ice Lake back in CES 2019, it could be of great benefit for the Surface to have the processor, which significantly affecting both performance and power when it comes to operation and efficiency. With the Surface Pro 6 and the Surface Laptop 2 both in 16GB configurations just recently, we’re also optimistic that the Surface Pro 7 would be on 16GB also. This justifies the use of the new Intel processor, making the overall functionality a sweet and speedy experience for both newcomers and those who plan to upgrade. When the Surface Pro 6 was released in the market, it had 128GB storage with 8GB RAM, running with a Core i5 processor at $900. With the 2-in-1 alone, sans the Surface Pen and the keyboard, it could go up to about $1,150 on a separate purchase. But with the Surface Pro 7, pricing without the additional accessories may go to about $1,200 and everything else would go with an additional $300.